Cascade Employers Association is pleased to present key findings from the 2018 Nonprofit Pay and Benefits Survey report. Data for this survey was collected between March and May of 2018, with 176 nonprofit organizations participating throughout Oregon and SW Washington. From 2017 to 2018, participation counts increased significantly, which increased the total number of jobs reported. In 2017 (the surveys inaugural year), we received 118 participants and reported 117 jobs with sufficient data (at least five companies responding). 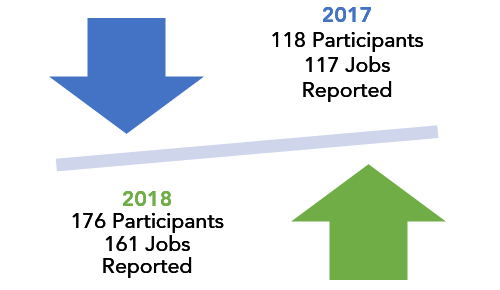 In 2018, participation counts increased to 176 participants, which provided sufficient data to report 161 jobs – that’s 44 new jobs reported in 2018! Nonprofits located throughout the Mid-Willamette dominated 57% of the survey’s participant pool in 2017, followed by 37% from the Portland Metro area, and 6% from Surrounding Areas. In 2018, the participant distribution shifted to include 47% from the Mid-Willamette, 41% from the Portland Metro area, and 12 % from Surrounding Areas. Similarly, in 2017, small nonprofits with 1-24 employees made up more than half of the survey participant distribution (52%). For 2018, this number was reduced to 34%, which provided for a more evenly distributed participant demographic of total employment count. The increase in participants in 2018 drastically affected both location and detailed breakout information, adding a more wide-spread Oregon/SW Washington representation of participants. The top three reported positions in 2018 were the Executive Director, Finance Director, and Executive Assistant positions. 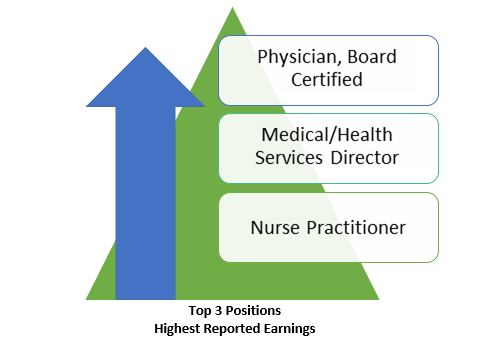 The top three positions with the highest average base wages were the Physician, Board Certified, Medical/Health Services Director, and Nurse Practitioner positions. From 2017 to 2018, the new hire benefit waiting period for paid time off/vacation, medical insurance, dental insurance, vision insurance, life insurance, retirement, long term disability, and short term disability increased. The two benefits that showed a decrease in their waiting period for new hires were tuition reimbursement and long term care insurance. Throughout the five surveyed medical health plan types offered to employees (Traditional, HMO, PPO, POS, and HDHP), the majority of employer contribution amounts increased from 2017 to 2018. Employer contribution amounts for retirement, vision insurance premiums, dental insurance premiums, and employee HSA’s (for qualified high deductible health plans) also increased from 2017 to 2018. Cascade’s Nonprofit Pay and Benefits survey is comprised of over 250 job descriptions and 100 benefit related questions. This survey provides in-depth market pay and benefit data stemming from nonprofit organizations throughout Oregon and Southwest Washington.